by Kimberly and James Dean! And the book shows us just how he deals with it! 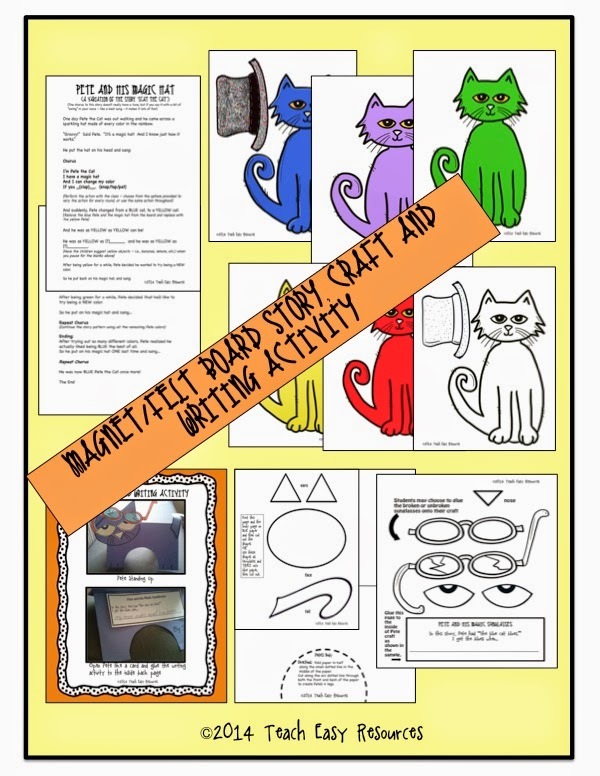 Pete's such a cool kitty with so much to teach, I decided to feature him in my latest unit below. 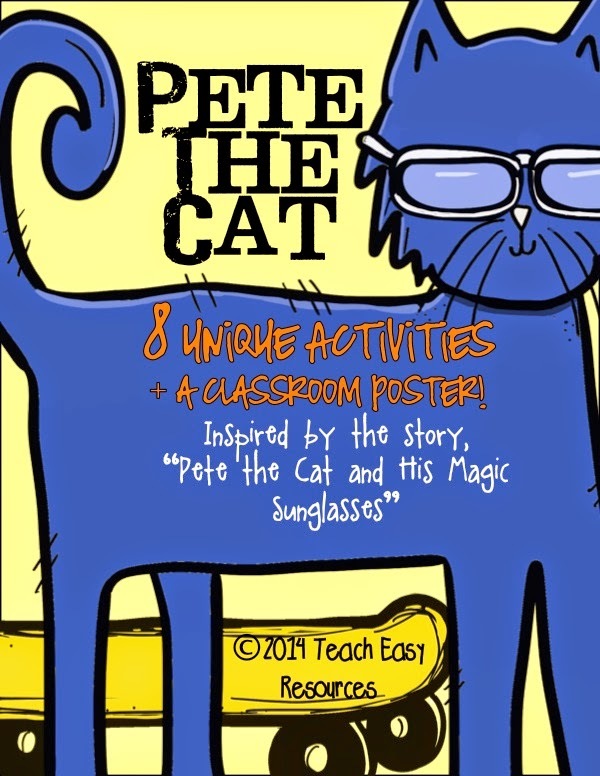 Pete the Cat and His Magic Sunglasses to your class. 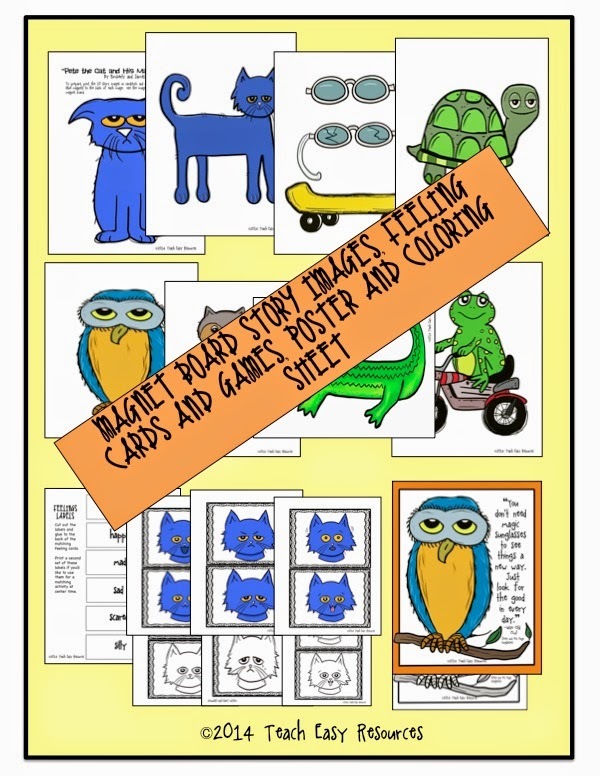 Just print the pictures on cardstock and add magnets to the back! 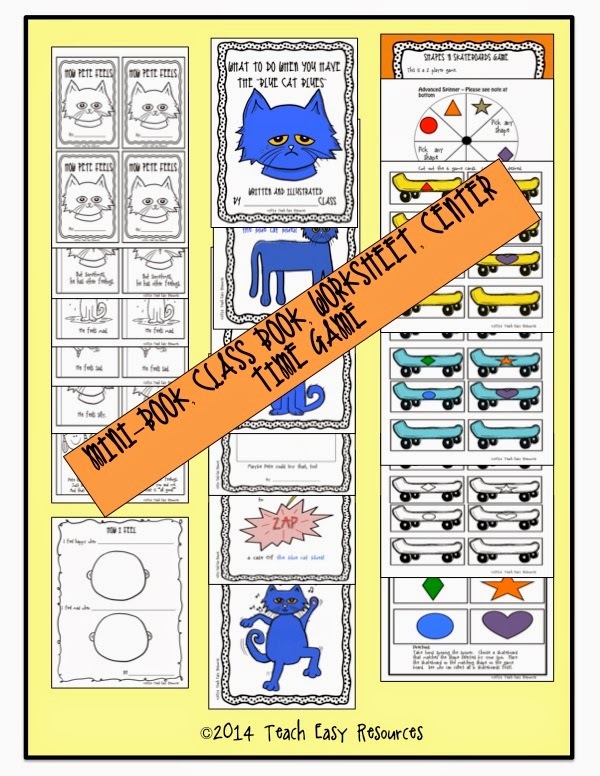 58 pages of fun for under $7! Teachers Pay Teachers shop HERE!